Sociolinguistics is a dynamic field of research that explains the role and function of language in social life. 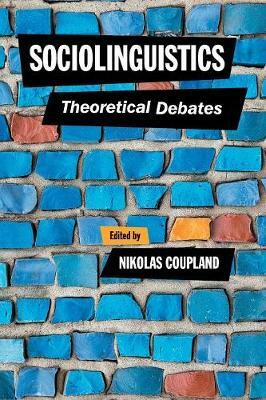 This book offers the most substantial account available of the core contemporary ideas and arguments in sociolinguistics, with an emphasis on innovation and change. Bringing together original writing by more than twenty of the field's most influential international thinkers and researchers, this is an indispensable guide to the newest and most searching ideas about language in society. For researchers and advanced students it gives access to the field's most pressing issues and debates, as well as providing a platform for new initiatives in sociolinguistic research.